We’ve had a very cold July with reasonable rainfall. That’s great for those fruit trees that need sufficient winter chill to set fruit, but a little challenging for the poor subtropicals that don’t like cold wet feet. Especially in areas with alkaline soil, the citrus and passionfruit are starting to sulk and look a bit yellow. They are not yet ready to take up lots of nutrients and put on growth, but it wouldn’t hurt to put some well-rotted cow manure around them (keeping clear of the trunk) so that the soil will be in good condition to make use of complete fertiliser in spring. This month we come to the end of the time for planting out dormant deciduous trees and giving them a formative pruning. If you have a new tree, decide whether it’s best suited to a central leader (Christmas tree) shape or a vase/goblet shape (open centre). Choose the main scaffold branches to keep – nice strong ones, well-spaced, ideally at an angle of around 60 degrees from the trunk. Cut off extra branches at the collar where they meet the trunk. Snip out any criss-crossing growth and dead or damaged wood. Shorten new season’s growth by about a third, cutting to just above an outward-facing bud and making the cut on an angle parallel with that bud, with enough slope for any moisture to run off rather than pooling there. 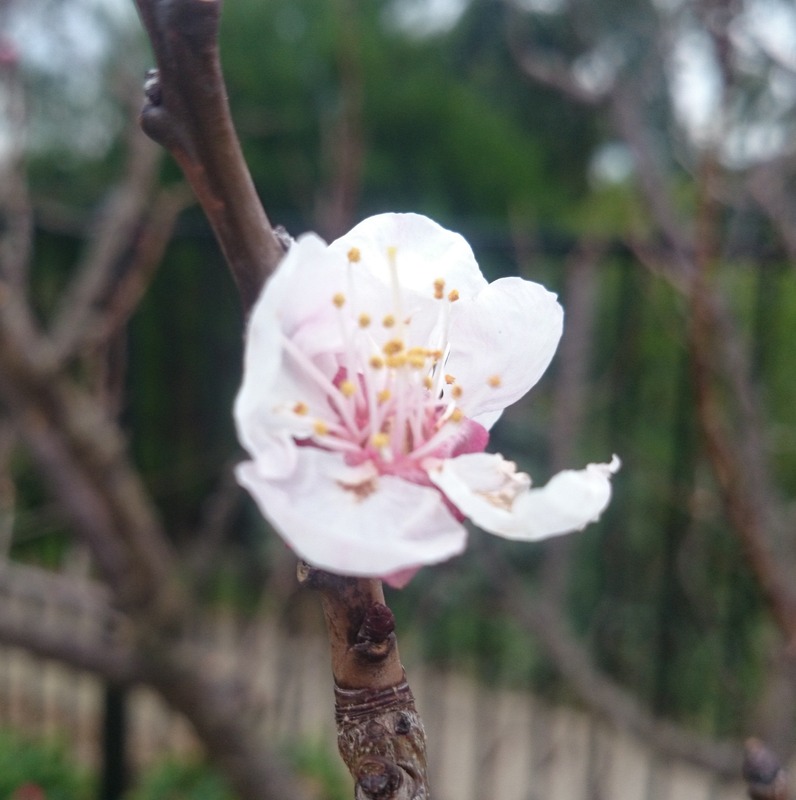 All winter pruning of stone fruit trees should be done at the beginning of a fine spell, so the wounds have a few days to dry out well and resist fungal infection. Peaches and apricots can also be sprayed (e.g. with Bordeaux mix or copper hydroxide) as the flower buds begin to swell, to help prevent leaf curl and shothole in susceptible varieties. Deciduous trees can also be grafted this month. Asparagus and rhubarb can be divided and transplanted this month. Keep planting successive crops of all types of peas, and pick them daily to keep them producing heavily. Green manure crops should be dug in before they flower and set seed – unless you’ve decided to keep those broad beans for eating after all! Get in before the spring weeds take off – pull them out or sheet mulch over them before they have a chance to seed through your patch. Add organic matter to the soil ready for planting spring vegetables, citrus and other evergreen trees and vines; and start your first spring vegetable seeds in trays or punnets with bottom heat, and/or in cold frames or cloches depending on your local conditions. Germination for summer vegetables usually starts when soil temperature is between 15 and 20 degrees, and we’re still a long way off that! We’re only just beginning to appreciate just how interconnected and interdependent natural ecosystems are. As Dave Jacke says, “Our biggest mistake is that we see ourselves as separate from the natural world. We then project that sense of separation onto every other living and nonliving thing with which we interact.” We need to learn to recognise the connections that already exist in our surroundings, work with them and design for them in the most productive way possible – reconnecting ourselves with Nature in the process. This entry was posted in citrus, fruit, permaculture design, pruning, seeds, soil, vegetables, winter and tagged August, permaculture, pruning, seasons, seeds, soil, vegetables, Winter. Bookmark the permalink.